- Publisher Since we saw him last in Sober Justice, Mike Connolly has moved on from his live-in girlfriend and he's still sober, but his law practice remains on the skids-until he's asked to represent a former police officer suspected in the bombing death of a wealthy Southern heir. Mike needs all the help he can get to solve this case that involves infidelity, drugs, money, and espionage. He finds himself unraveling a knotted case with a kind of foresight and help he hadn't even believed in before. Double Take is set in Mobile, Alabama, against a backdrop of shrimpers, strip clubs, and rowdy bars with dog-fights for entertainment. It's not gratuitous but realistic, and satisfies readers of gritty mysteries. Download the Readers' Guide. - Publisher Since becoming a Christian, attorney Mike Connelly of Sober Justice gave up drinking and has moved on from his stripper girlfriend, but his law practice is still on the skids - until he's asked to represent a former police officer suspected in the bombing death of a wealthy Southern heir. Mike will need all the help he can get to unravel this case that involves infidelity, drugs, money and espionage. He finds himself unraveling a knotted case, with a kind of foresight and help he dadn't even believed in before. Double Take is set in Mobile, Alabama, against a backdrop of shrimpers, strip clubs, and rowdy bars with men who fight dogs for entertainment. It's not gratuitious, but realistic and satisfies readers of gritty mysteries. 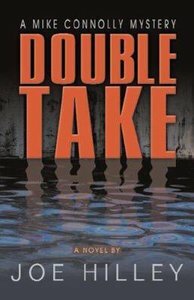 About "Double Take (Mike Connolly Series)"
Since we saw him last in Sober Justice, Mike Connolly has moved on from his live-in girlfriend and he's still sober, but his law practice remains on the skids-until he's asked to represent a former police officer suspected in the bombing death of a wealthy Southern heir. Mike needs all the help he can get to solve this case that involves infidelity, drugs, money, and espionage. He finds himself unraveling a knotted case with a kind of foresight and help he hadn't even believed in before. Double Take is set in Mobile, Alabama, against a backdrop of shrimpers, strip clubs, and rowdy bars with dog-fights for entertainment. It's not gratuitous but realistic, and satisfies readers of gritty mysteries. Download the Readers' Guide. Since becoming a Christian, attorney Mike Connelly of Sober Justice gave up drinking and has moved on from his stripper girlfriend, but his law practice is still on the skids - until he's asked to represent a former police officer suspected in the bombing death of a wealthy Southern heir. Mike will need all the help he can get to unravel this case that involves infidelity, drugs, money and espionage. He finds himself unraveling a knotted case, with a kind of foresight and help he dadn't even believed in before. Double Take is set in Mobile, Alabama, against a backdrop of shrimpers, strip clubs, and rowdy bars with men who fight dogs for entertainment. It's not gratuitious, but realistic and satisfies readers of gritty mysteries. Joeseph H. Hilley is an author who is also an attorney with an M.Div, degree. His broad experience and many years in the Deep South set a wonderful foundation for Sober Justice. Hilley lives in Birmingham, Alabama, with his wife Joy and their two young children, Laura Catherine and Jack.